A recording of the April Expert Q&A session on “The Mental Health Consequences of Sexual Assault” is now available, along with a copy of the PowerPoint on our Expert Q&A page. This session provides information from an extensive meta-analysis of research focused on the range of mental health problems that are associated with sexual assault and discusses risk factors for developing mental health problems after victimization. This quarter’s OVC Human Trafficking Grantee Spotlight highlights the International Rescue Committee chapters in Seattle, Miami and Tallahassee, Phoenix, and Sacramento. The OVC Human Trafficking Grantee Spotlight highlights the work and promising practices of OVC's Human Trafficking Grantees in serving victims of human trafficking and provides a space for grantees to relate to, identify with, and further engage with one another, the anti-trafficking community, and our many allied partners. On June 19, 2019, at 2:00 p.m. e.t., OVC TTAC will present an online Expert Q&A discussion with Andy Mao and Mark Lachs on "Identifying Signs of Elder Abuse or Neglect." This session will explore the different forms of elder abuse, the role that dementia and other cognitive issues play, promising preventive measures, and some of the challenges of prosecuting such cases. Register now to submit your own questions or visit the Expert Q&A page for more information. Search the TTA Network Resource Directory for current OVC-funded law enforcement TTA projects. The Role of Law Enforcement in Elder Abuse Cases. Interjurisdictional Enforcement of Protection Orders. Learn about the OVC training on DNA in Sexual Assault Cases: The Role of Law Enforcement, SAFE/SANE Nurses, and Victim Advocates. Visit the Human Trafficking page to access webinar recordings such as Working Together Part I: Law Enforcement. Search the Resource Library for law enforcement-related materials. Request Customized Technical Assistance to address your organization's needs and build your capacity to better serve crime victims. The latest recordings from the Elder Justice Initiative webinar series are now available. “Utilizing Federal and Community Resources To Overcome the Opioid Epidemic in Tribal Communities” provides an overview of some of the factors that are contributing to the opioid epidemic among elders and looks at SAMHSA's approach to working with tribal organizations on opioid misuse. On May 29, 2019, at 2:00 p.m. e.t., OVC TTAC will present an online Expert Q&A discussion with Marcus Bruning on "Law Enforcement Response: Approaching Your Work with a Trauma–Informed Lens." This session will provide insight into the surprising similarities of victims and police officers that will help connect the complex thought patterns of a victim in trying to survive the moment and in the long term. The latest recordings from the Mass Violence and Terrorism webinar series are now available. “Helping Victims of Mass Violence & Terrorism: The First 24 to 48 Hours – Part 1” introduces tips for building and maintaining partnerships before a mass violence incident occurs, effective collaboration strategies to implement when planning for and responding to mass violence incidents, steps to execute a response plan, challenges with issuing death notifications, and factors to consider when setting up a Family Assistance Center. “Helping Victims of Mass Violence & Terrorism: 48 Hours and Beyond – Part 2” provides an overview of the transition from short-term to long-term assistance; how to execute productive outreach plans; understanding immediate/acute, intermediate/transitional, and long-term needs of survivors; how to honor victims and survivors; and how to get involved in exercise planning. This quarter’s Activity Spotlight highlights the Advanced Trainer Institute, Train the Trainers To Enhance Their Presentation and Facilitation Skills. The Ohio Department of Public Safety, Office of Criminal Justice Services received in-person, capacity building training on advanced training skills in Columbus, Ohio. The Advanced Trainer Institute program trains professionals in victim services to enhance their presentation and facilitation skills. Visit the Tribal Victim Assistance Resources tab to view federal and nonfederal child maltreatment resources. Request Customized Technical Assistance to meet your organization's needs and build your capacity to better address youth violence prevention. Supporting Young Male Survivors of Violence. Forging Relationships Between Victim Service Providers and Academic Institutions. Request the in-person training Supporting Children Living with Grief and Trauma: A Multidisciplinary Approach. Visit the Human Trafficking Task Force e-Guide to review the section on human trafficking victims’ rights enforcement. Use materials from the Victim Impact: Listen and Learn curriculum to conduct training to help offenders become more aware of the impact that crime has on victims and to take responsibility for their actions and begin to make amends. Visit the Webinar Library to access recordings from the Victims’ Rights webinar series. Search VictimLaw to find laws regarding victims' rights in your jurisdiction. Request the face-to-face training Enforcing Victims' Rights. Enroll in VAT Online to take the Victims' Rights module. Request Customized Technical Assistance to address your organization's needs and build your capacity to better serve victims of crime. Search the Resource Library for crime victims’ rights resources. Introductory Week: The Foundations of Collaboration, April 29–May 3, no webinar. Week 1: Forming Collaborations, May 6–10, webinar on May 9. Week 2: Collaboration in Action, May 13–17, webinar on May 16. Week 3: Evaluating the Outcomes, May 20–24, webinar on May 23. All webinars are conducted on Thursdays from 2:30–3:45 p.m. e.t. For more information about this training, please contact nvaa@ovcttac.org. Visit the Human Trafficking Task Force e-Guide to review the sections on Foreign National Minors and Minor and Adolescent victims. Visit the Tribal Victim Assistance Resources tab to find federal and nonfederal child maltreatment resources. Use materials from the Child Abuse and Neglect unit of the Victim Impact: Listen and Learn curriculum to conduct training to help offenders become more aware of the impact that this crime has on victims and to take responsibility for their actions and begin to make amends. Access the SANE Program Development and Operation Guide to review the section on responding to child maltreatment as part of forensic nursing practice. Supporting Children Living with Grief and Trauma: A Multidisciplinary Approach. Working with At-risk Youth with High Levels of Trauma and Risk for (Re)victimization. Request Customized Technical Assistance to address your organization's needs and build your capacity to better serve child abuse victims. Search VictimLaw to find laws regarding child abuse in your jurisdiction. Search the Resource Library for child abuse-related materials. 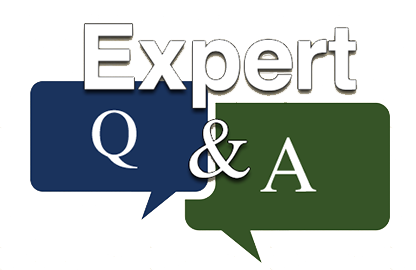 A recording of the March Expert Q&A session on “Expanding Outreach to Victims of Identity Theft and Cybercrime” is now available, along with a copy of the PowerPoint on our Expert Q&A page. This session provides guidance on improving and expanding service to identity theft victims. Visit the Sexual Assault Nurse Examiner-Sexual Assault Response Teams page to access resources, videos, and trainings to help build your capacity to assist victims of sexual assault. Access the SANE Program Development and Operation Guide to learn about best practices for developing new SANE programs and enhancing and sustaining existing programs. Visit the Tribal Victim Assistance page to access resources, videos, and toolkits on responding to sexual assault victims in Indian Country. Unit 8: Sexual Assault from Victim Impact: Listen and Learn. Victims of Sexual Assault in the Military. Register for OVC’s Online Elder Abuse Training for Legal Service Providers to take the module on Domestic Violence and Sexual Assault. SANE Program Development and Operation Web Training Series. Building an Effective SANE Program. Strengthening Military-Civilian Community Partnerships To Respond to Sexual Assault. Search VictimLaw to find laws regarding sexual assault in your jurisdiction. Request Customized Technical Assistance to address your organization's needs and build your capacity to better serve victims of sexual assault. Search the Resource Library for sexual assault-related materials. Access the new TTA Network Resource Directory for information on current OVC-funded training and technical assistance projects. The searchable online directory provides information on current OVC-funded training and technical assistance (TTA) projects and allows easy access to those TTA resources for the victim services field. A recording of the February Expert Q&A session on “Serving Victims of Teen Dating Violence” is now available, along with a copy of the PowerPoint on our Expert Q&A page. This session identifies warning signs of teen relationship abuse and explores the effect relationship abuse has on teens. Register now for the upcoming Expert Q&A: Expanding Outreach to Victims of Identity Theft and Cybercrime webinar. Online Elder Abuse Training for Legal Service Providers: Financial Fraud and Exploitation. Financial Exploitation in the Context of Guardianships and Other Legal Arrangements. Access the webinar recording Results of OVC's Needs Assessment: Financial Fraud, Financial Exploitation, Elder Abuse, and Polyvictimization. Review the Human Trafficking Task Force e-Guide section Resources: 4 Supporting Victims for financial resources to support victims of human trafficking. Search VictimLaw for laws related to consumer protection. "Resources for Financial Institutions To Prevent and Protect Against Elder Financial Exploitation" provides information about how to access training programs and support for tellers and other financial professionals who want to report financial exploitation and work collaboratively with others in their communities to prevent it. “Barriers and Facilitators to Health, Wellness, and Treatment in Tribal Communities Dealing With Elder Abuse” explores the intersection of elder abuse and public health in tribal communities with a special focus on the barriers and facilitators to health, wellness, and treatment. “Resources for State and Local Elder Abuse Prosecutors” explores ways to break down the silos by highlighting elder justice resources and training currently available to support their work. A recording of the January Expert Q&A session on “Housing, Addiction, and Human Trafficking” is now available, along with a copy of the PowerPoint on our Expert Q&A page. This session discusses the intersection between housing, substance use, and addiction, and explores the impact of the opioid crisis on the already limited appropriate and available housing supply for victims of trafficking. Register now for the upcoming Expert Q&A: Serving Victims of Teen Dating Violence webinar. Campus/University Victims of Sexual Assault. Access the Tribal Victim Assistance Resources page for federal and non-federal resources on tribal dating violence and intimate partner violence. Request the OVC training Sexual Assault Advocate/Counselor Training to identify resources available to victims of campus sexual assault. Request the OVC training Increasing Effectiveness of Providers for Child Victims of Violence to enhance your capacity and ability to assist victimized children and adolescents. Download the Sexual Assault Advocate/Counselor Training module on Campus Sexual Assault. Access the Campus Sexual Assault webinar series. Review the SANE Program Development and Operation Guide sections on Expanding Your Program To Include Intimate Partner Violence, Preparing Your Program To Meet the Unique Needs of Survivors, and the Resource List. Review the Human Trafficking Task Force e-Guide section on Victim Populations to identify resources related to minors and adolescent victims. Search VictimLaw for laws related to teen dating violence. "Resources for EMTs and Medics in Fighting Elder Abuse and Neglect" explores professional resources for EMTs and Fire and Rescue Personnel to help identify possible signs of elder abuse and neglect, communicate with potential victims, identify and document evidence in the home or nursing facility, report suspected abuse, and develop and sustain a good working relationship with aging professionals. “Veterans Administration Resources for Older Veterans” discusses the various Veterans Benefits Administration programs, and the protections and preventive measures an older adult can put in place. The webinar also addresses how to respond after there is an incident of abuse. This quarter’s Activity Spotlight highlights the Riverside Superior Court Vicarious Trauma Program Development. The Superior Court of California, County of Riverside, received virtual technical assistance on the development and implementation of an organizational-level vicarious trauma response program for courthouse personnel. The technical assistance helped develop the court's infrastructure and capacity to promote a vicarious trauma-informed organizational culture. Take the VAT Online module on Stalking. The Intersection of Stalking, Sexual Assault, and Domestic Violence. Visit the SANE Guide for resources on stalking. Review the following Human Trafficking Task Force e-Guide sections Engage in Open Charge Selection, Managing Confidentiality, and The Vital Role of Case Management and Service Planning for resources related to stalking. Download the Intimate Partner Violence resource paper in the Integrating Crime Victims’ Issues into College and University Curricula for statistics on stalking and related resources. Request Customized Technical Assistance to address your organization's needs and build your capacity to better serve victims of stalking. Search VictimLaw to find laws related to stalking. Visit the Human Trafficking page to find related webinars and other training and technical assistance resources. Visit the Human Trafficking Task Force e-Guide to find resources to assist in the formation of new task forces as well as guidance and support for existing task forces. Access the Tribal Victim Assistance page for a list of federal and non-federal human trafficking resources. Take the VAT Online module on Human Trafficking. The Vulnerabilities of LGBTQ and Homeless Youth to Human Trafficking and Sexual Exploitation. Visit the SANE Guide to access the chapter on Human Trafficking and resources on human trafficking. Search VictimLaw to find laws related to human trafficking. Request Customized Technical Assistance to address your organization's needs and build your capacity to better serve victims of human trafficking. Take the online training Identity Theft Victim Assistance Online Training: Supporting Victims' Financial and Emotional Recovery. Law Enforcement Investigation of Financial Exploitation. Search VictimLaw to find laws related to identity theft. Request Customized Technical Assistance to address your organization's needs and build your capacity to better serve victims of identity theft. Victim Impact: Listen and Learn has been updated to include the latest statistics and data. The curriculum consists of 13 units, built around 10 core crime topics and is intended to help offenders to become more aware of the impact that crime has on victims and to take responsibility for their actions and begin to make amends. It is also an effective training resource for victim service providers seeking to improve their understanding of the physical, emotional, financial, and psychological effects of crime. OVC has updated the Victim Assistance Training Online module on Victims of Sexual Assault in the Military. The Victims of Sexual Assault in the Military module provides information on issues specific to the military related to sexual assault. It includes issues that victims may face, specific military procedures to help victims impacted by this crime, as well as tips and strategies to help victims. A recording of the November Expert Q&A session on “Effective Telenursing Response to Sexual Assault” is now available for viewing, along with a copy of the PowerPoint on our Expert Q&A page. In this session targeted toward Sexual Assault Nurse Examiners, participants learned about some of the advantages to telenursing, as well as some of the potential obstacles, such as cross-state licensure, credentialing for nurses responding to a hospital where they are not employees, provision of medications, and maintenance of medical records. This quarter’s OVC Human Trafficking Grantee Spotlight highlights the Minnesota Department of Health, The Salvation Army New Day to Stop Trafficking Program, and University of Maryland, Baltimore. The OVC Human Trafficking Grantee Spotlight highlights the work and promising practices of OVC's Human Trafficking Grantees in serving victims of human trafficking and provides a space for grantees to relate to, identify with, and further engage with one another, the anti-trafficking community, and our many allied partners. Take the VAT Online module on Impaired Driving and Victims With Substance Abuse Issues. Visit the Victim Impact: Listen and Learn download center to download the training unit on Drunk and Impaired Driving. Download the resource paper on Impaired Driving from the Integrating Crime Victims’ Issues Into College and University Curricula. Addressing Substance Use Disorders Amongst Human Trafficking Survivors. Visit the Human Trafficking Task Force e-Guide section on supporting victims with Substance Abuse Needs. Search VictimLaw to find laws related to impaired driving. Request Customized Technical Assistance to address your organization’s most pressing needs and build your capacity to better serve crime victims. Week 5: Ensuring the Financial Health of Your Organization, May 27–31, webinar on May 30. All webinars are conducted on Thursdays from 11:00 a.m.–12:15 p.m. e.t. Introductory Week: Introduction to the Model Standards, April 15–19, no webinar. Week 1: What are the Model Standards?, April 22–26, webinar on April 26. Week 2: Incorporating the Model Standards into Your Organization’s Policies, April 29–May 3, webinar on May 3. Week 3: Creating a Plan To Implement the Model Standards, May 6–10, webinar on May 10. All webinars are conducted on Fridays from 2:30–3:45 p.m. e.t. Introductory Week: Identifying and Cultivating Potential Board Members, April 1–5, no webinar. Week 1: Assessing Board Needs, Recruiting, and Orienting Board Members, April 8–12, webinar on April 11. Week 2: Involving and Educating Board Members, April 15–19, webinar on April 18. Week 3: Evaluating, Rotating, and Celebrating the Board, April 22–26, webinar on April 25. All webinars are conducted on Thursdays from 11:30 a.m.–12:45 p.m. e.t. On April 17, 2019, at 2:00 p.m. e.t., OVC TTAC will present an online Expert Q&A discussion with Jo Johnson, Emily Dworkin, and Nicole E. Allen on "The Mental Health Consequences of Sexual Assault." This session will provide information from an extensive meta-analysis of research focused on the range of mental health problems that are associated with sexual assault and discuss risk factors for developing mental health problems after victimization. Introductory Week: What is Program Evaluation, March 4–8, no webinar. Week 1: Foundations for Program Evaluation, March 11–15, webinar on March 14. Week 2: Preparing for Program Evaluation: Developing a Program Evaluation Plan, March 18–22, webinar on March 21. Week 3: Implementing the Program Evaluation: Focus on Data Collection, March 25–29, webinar on March 28. Week 4: Analyzing Evaluation Data and Using it to Develop Your Program's Story, April 1–5, webinar on April 4. Introductory Week: The Impact of Trauma, February 18–22 (no webinar this week). Week 1: The Layers of Being Trauma-Informed, February 25–March 1. The facilitated webinar will take place on March 1. Week 2: The Foundation of a Trauma-Informed Organization, March 4–8. The facilitated webinar will take place on March 8. Week 3: Assessing Your Organization, March 11–15. The facilitated webinar will take place on March 15. Week 4: Developing Your Organization's Trauma-Informed Approach, March 18–22. The facilitated webinar will take place on March 22. All webinars are conducted on Fridays from 11:30 a.m.–12:45 p.m. e.t. On March 20, 2019, at 2:00 p.m. e.t., OVC TTAC will present an online Expert Q&A discussion with Hazel Heckers on "Expanding Outreach to Victims of Identity Theft and Cybercrime." This session will provide guidance on improving and expanding service to identity theft victims. We are now accepting applications for the 2019 NVAA Leadership Institute, which will be delivered online. Co-facilitated by Anita Carpenter and Kimber Nicoletti-Martinez, this 11-week training will assist you in becoming a more effective leader of your team, work group, or organization. CEUs will be awarded to those who complete all of the requirements. Introductory Week: The Importance of Volunteers, week of February 4–8, 2019. Week 1: Finding the Right Volunteers, week of February 11–15, 2019; webinar on February 15. Week 2: Onboarding and Retaining Volunteers, week of February 18–22, 2019; webinar on February 22. Introductory Week: Introduction to Financial Management, January 28–February 1, no webinar. Week 1: Planning the Budget, February 4–8, webinar on February 7. Week 2: Bookkeeping and Accounting Concepts and Practices, February 11–15, webinar on February 14. Week 3: Financial Reporting and Monitoring, February 18–22, webinar on February 21. Week 4: Practical Financial Oversight, February 25–March 1, webinar on February 28. Week 5: Ensuring the Health of Your Organization, March 4–8, webinar on March 7. All webinars are conducted on Thursdays from 11:00 a.m.–12:30 p.m. e.t. Join us for an Elder Justice Initiative webinar on Thursday, December 20 at 3:00 p.m. e.t., on “Resources for Financial Institutions To Prevent and Protect Against Elder Financial Exploitation” with host Judith Kozlowski, J.D., consultant and subject matter expert with DOJ's Elder Justice Initiative, and presenter Lisa Bleier, J.D., Managing Director and Associate General Counsel at the Securities Industry and Financial Markets Association (SIFMA), and the lead on its Senior Investor Protection efforts. Also presenting is Billie McNeeley, Financial Exploitation Specialist, Aging & People with Disabilities at the Oregon Department of Human Services. They will discuss currently available tools and training that financial professionals in small and medium-sized firms, from the bank teller to executives, can use to recognize and combat elder financial exploitation. On January 29, 2019, at 2:00 p.m. e.t., OVC TTAC will present an online Expert Q&A discussion with Deepa Patel and Karen Romero on "Housing, Addiction, and Human Trafficking." This session will discuss the intersection between housing, substance use, and addiction, and will explore the impact of the opioid crisis on the already limited appropriate and available housing supply for victims of trafficking. On February 20, 2019, at 2:00 p.m. e.t., OVC TTAC will present an online Expert Q&A discussion with Connie J. Kirkland and David R. Thomas on "Serving Victims of Teen Dating Violence." This session will identify warning signs of teen relationship abuse and explore the effect relationship abuse has on teens. Introductory Week: Identifying and Cultivating Potential Board Members, January 7–11, 2019. No webinar. Week 1: Assessing Board Needs and Recruiting and Orienting Board Members, January 14–18, 2019, webinar on January 17. Week 2: Involving and Educating Board Members, January 21–25, 2019, webinar on January 24. Week 3: Evaluating, Rotating, and Celebrating the Board, January 28–February 1, 2019, webinar on January 31. Please join us on November 8, 2018 at 2:00 p.m. e.t. for an Elder Justice Initiative webinar on “Barriers and Facilitators to Health, Wellness, and Treatment in Tribal Communities Dealing With Elder Abuse.” Susan Lynch, Senior Counsel for Elder Justice, U.S. Department of Justice, will discuss the intersection of elder abuse and public health in tribal communities with a special focus on the barriers and facilitators to health, wellness, and treatment. Please join us on November 9, 2018 at 2:00 p.m. e.t. for an Elder Justice Initiative webinar on “Rural Multidisciplinary Teams: Challenges, Opportunities, and Innovations.” Presenters Jason Burnett, Co-Director of the Texas Elder Abuse & Mistreatment Institute (TEAM), Co-Director of the TEAM-Forensic Assessment Center Network, Tammy Sever (Nevada), and Michele Knittle (Nevada) will discuss the unique, but not insurmountable, challenges facing rural MDTs. This webinar will dive into the issues faced by real-world rural MDTs while highlighting the good work, resources, and innovations that can serve as examples of what is possible. Please join us on November 1, 2018 at 2:00 p.m. e.t. for an Elder Justice Initiative webinar on “Veterans Administration Resources for Older Veterans.” Host Maria Shumar and presenter Gina Bohr, Program Analyst, Pension and Fiduciary Service, U.S. Department of Veterans Affairs, will discuss the various Veterans Benefits Administration programs, and the protections and preventive measures an older adult can put in place. The webinar will also address how to respond after there is an incident of abuse. A recording of the October Expert Q&A session on “Batterer Intervention Programs and Victim Safety” is now available for viewing, along with a copy of the PowerPoint on our Expert Q&A page. This session describes model practices for Batterer Intervention Program outreach to victims as well as collaboration with victim advocacy programs. "Increasing Access to Capacity Assessments via New Technologies" discusses how your community might increase access to capacity assessments that can assist in cases where the determination of elder abuse may depend upon the older adult’s capacity. “Trauma Informed Services: An Introduction to ACES and Elder Abuse” discusses the connection between early adverse experiences, often called "ACES," and the older adult population. "Building an Elder Justice Unit in South Dakota" describes the journey to create an Elder Justice Unit, finding support in the adage "If you build it, they will come" and provides examples of two recent (closed) cases and how the Unit aided in those prosecutions. "Digging Deeper: When Consent is Not Consent" discusses the elements of consent, how to confirm consent, and how to distinguish consent from actions or conditions (such as diminished capacity) that negate consent. Explore the Tribal Victim Assistance page to find information about how to create a victim-centered response to American Indian/Alaska Native victims of crime. Visit the Human Trafficking Task Force e-Guide to find resources related to Native American communities. Visit the SANE Program Development and Operation Guide to access the chapter on Tribal Law and the Resource List, which provides additional resources for working with American Indian/Alaska Native populations. Read the report, Developing and Implementing a Response to Sexual Assault in Tribal Communities: A Summary of the Suggestions from the National Roundtable Discussion on Sexual Assault in Indian Country, and view three short videos that were produced to complement the report. Developing and Implementing a Response to Sexual Assault in Tribal Communities. Search VictimLaw for tribal laws. Request Customized Technical Assistance to address your organization’s needs and build your capacity to better serve American Indian/Alaska Native populations. Introductory Week: Introduction to Marketing, October 29–November 2. No webinar. Week 1: Identifying Your Marketing Goals and Target Audience, November 5–9, webinar on November 8. Week 2: Finalizing a Marketing Plan and Measuring Your Efforts, November 12–16, webinar on November 15. For older announcements, visit the News Archive.